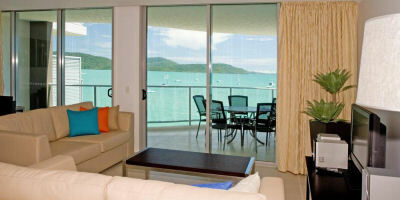 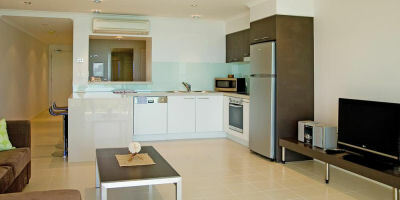 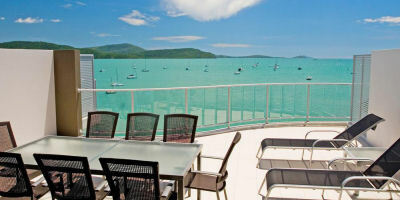 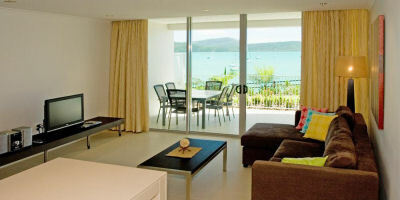 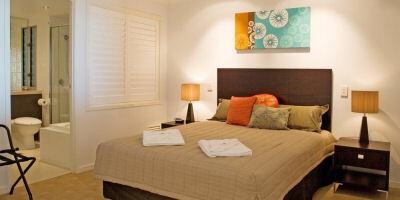 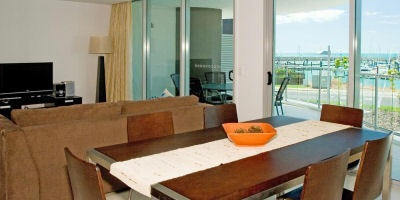 The picturesque Airlie Beach accommodation features indulgent fully self contained serviced (optional) luxury penthouses and holiday apartments in Airlie Beach. 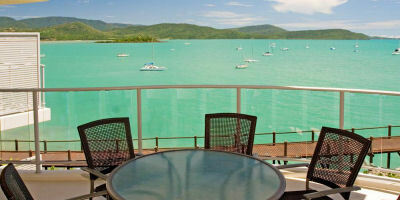 With views overlooking Abel Point Marina and the Whitsunday Islands. 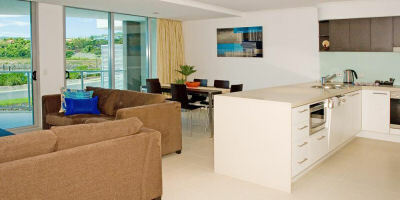 Marina Shores has been designed to be totally different in space, light and colour with vogue interiors, spacious decks and state of the art themed lighting. 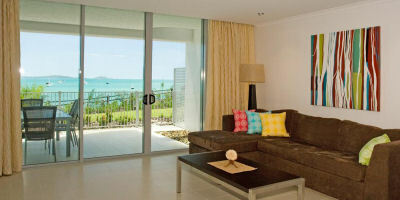 So you can relax in sophisticated style as you take in the spectacular views.